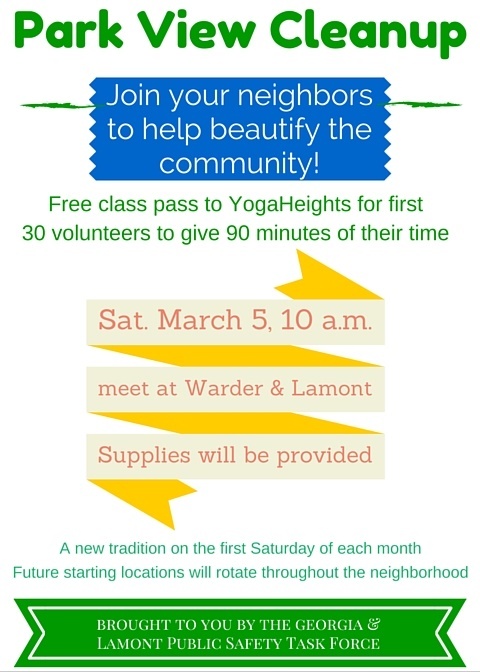 Neighborhood Clean Up Scheduled for Saturday | Park View, D.C.
Here’s some more good work from the Georgia & Lamont Public Safety Task Force — they’ve scheduled a community clean up for this Saturday, March 5th, beginning at 10 a.m. See the flyer below for details. This entry was posted on March 1, 2016 at 7:01 am and is filed under Community Involvement, Volunteerism. You can subscribe via RSS 2.0 feed to this post's comments.